The elf kingdom is destroyed. With their kingdom in ruins the elves were forced to set off overseas to search for a new home. By fate's will, a storm crushed their ships on the shores of a lost island. High mountains, fragrant valleys and shimmering rivers - what else might the children of nature need? But their beautiful new world is filled with danger. When attempting to leave, the elves learn that the island is surrounded by an impenetrable magic storm. The survivors recall a legend about the last of the ancient elves, who shall awake from a thousand year's sleep to help them overcome hardship. 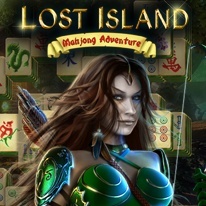 Gain achievements, complete quests, gather collections and help the elves survive on a deserted island by taking pyramids of various forms and sizes apart.